This legislation, aptly named “Administrative Code – Owner Move-In Reporting Requirements,” primarily impacts landlords by requiring new and improved reporting requirements. Landlords are now required to provide a declaration under penalty of perjury stating that they intend on residing in the unit for at least 36 continuous months. In addition, the Rent Board is now required to annually notify the unit occupant of the maximum allowable rent (which is the rent of the previous tenant) for five years after an OMI. This reform also extends the amount of time that a tenant has to exercise their rights and keep landlords accountable. Landlords must offer the unit first to the displaced tenant for a period of five years after the OMI. Additionally, tenants now have five years, the new statute of limitations, to file wrongful eviction claims based on an unlawful OMI if the owner fails to move in. 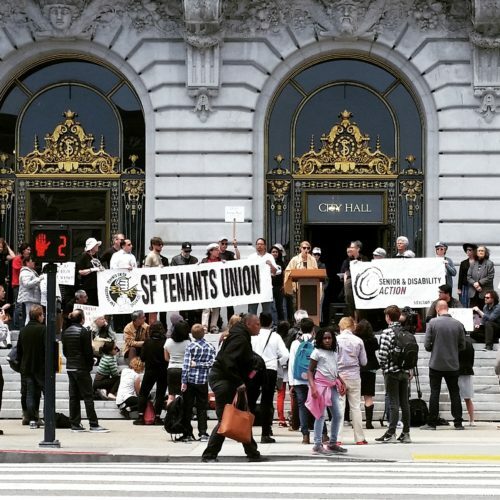 Finally, and perhaps the most significantly, nonprofits like the Housing Rights Committee , the San Francisco Tenants Union and Causa Justa will be able to exercise a “right of action” to enforce the law. When tenants are threatened with an OMI eviction, they might feel relieved when their landlord offers more time or more money. But often, in exchange, the tenant must agree to waive their right to sue even if the landlord does move in. Likewise, if there is a new tenant living in a unit where an OMI eviction has occurred, they fear retaliation if they choose to exercise their rights. Now, nonprofits can act to hold the landlord accountable in court to ensure that San Francisco does not continue to lose affordable units through pressure and fraud. Effective enforcement mechanisms were passed because tenant advocates pushed for real solutions. These changes do not impact landlords who intend on acting in good faith; landlords who do not intend on breaking the law should not fear being punished for breaking the law. If you are a tenant who is curious about the existing rules around OMI evictions, if you are experiencing an OMI eviction, or if you suspect you have been a victim of a fraudulent OMI, visit the Housing Rights Committee, the San Francisco Tenants Union or Causa Justa during tenant counseling for more information.